Millions of Texans have cast early ballots ahead of the Tuesday’s election as Republican Sen. Ted Cruz fends off his Democratic opponent, Rep. Beto O’Rourke. More than 4,514,930 Texans have cast in-person ballots during the entire early voting period in the 30 counties where most of the state’s registered voters live. To put it another way, roughly 40 percent of the 12 million registered voters in those counties have voted. Early voting in those counties surpassed turnout from the 2012 presidential election. Data compiled by the Texas Tribune also shows turnout over 12 days of early voting in those 30 counties also surpassed the entire turnout of the 2014 midterm election. Polling data in Texas has been all over the map, with Cruz leading anywhere from nine points, to O’Rourke of El Paso ahead by two points. 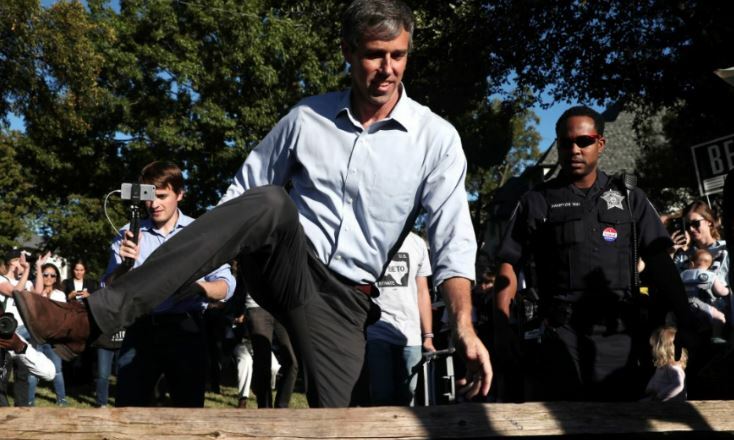 Yet, O’Rourke likely faces a much tougher task, according to some experts. He will need to pick off almost 20 percent of Cruz’s GOP base to win the election, Texas Politics Project Director James Henson wrote in an analysis in October. Data tabulated during the primary election seem to support Henson’s position. The Washington Post, Fox News, and others, reported in March that more than 885,000 people in Texas had voted early or by mail in the state’s most populous counties, which comprised a 50 percent increase from 2014 – the previous high for the Democratic Party in the Lone Star State was 592,000. Republicans easily out-numbered Democrats at the polls despite the latter’s high turnout — 1.54 million to 1.04 million — suggesting O’Rourke and Lupe Valdez, who is running to unseat Republican Gov. Greg Abbott, face nearly insurmountable odds as Tuesday nears. Neither candidate was considered formidable opponents during the primary season for the likes of Cruz and Abbott.